Flowers in Banbury, Oxfordshire. 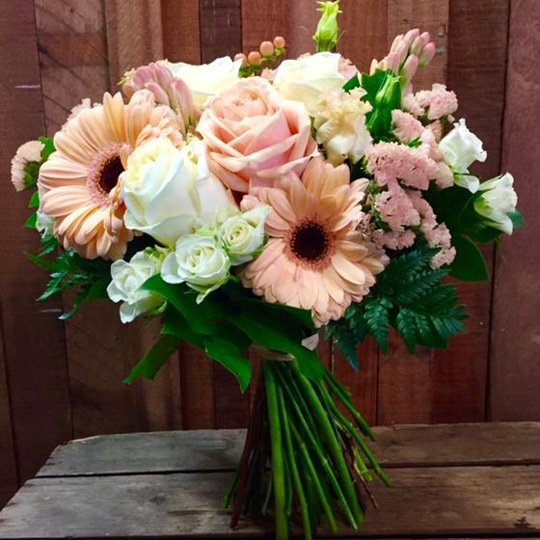 Crafted & delivered by Flora Bella Flower Shop. 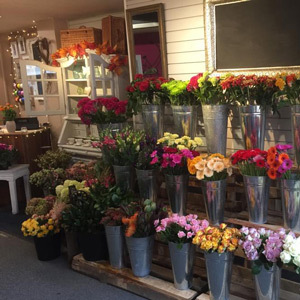 Send Flowers in Banbury, Oxfordshire. 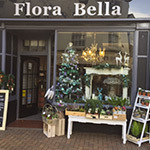 Crafted & delivered by Flora Bella Flower Shop. 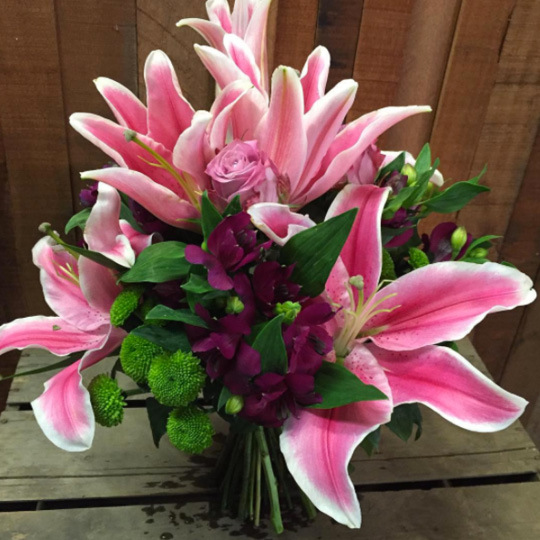 An explosion of beautiful pink lilies mixed in with seasonal foliage, alstroemeria, and roses. Hand tied, aqua packed and boxed ready for display. 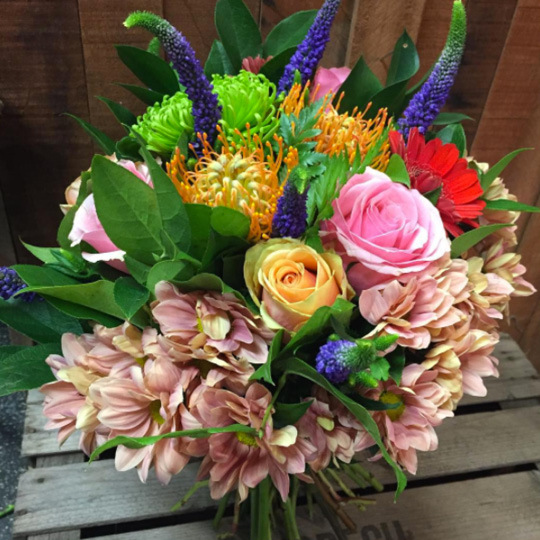 A lush arrangement featuring snap dragons, miss piggy roses, stocks, freesias and seasonal foliage. Hand tied, aqua packed and boxed ready for display. 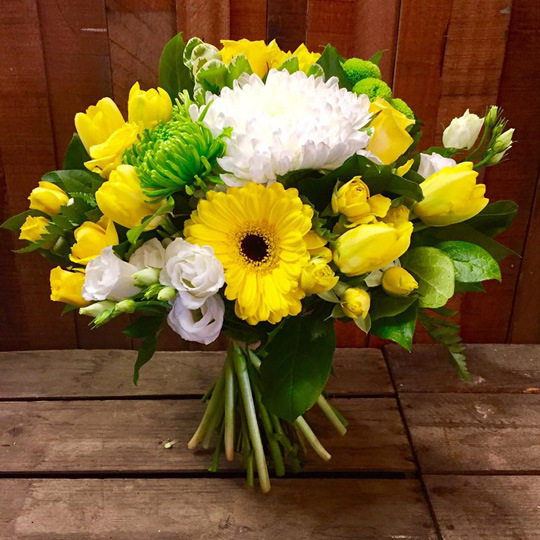 A vibrant bouquet of happy yellows featuring gerberas, carnations lisianthus and tulips. Hand tied, aqua packed, and boxed, ready to display. 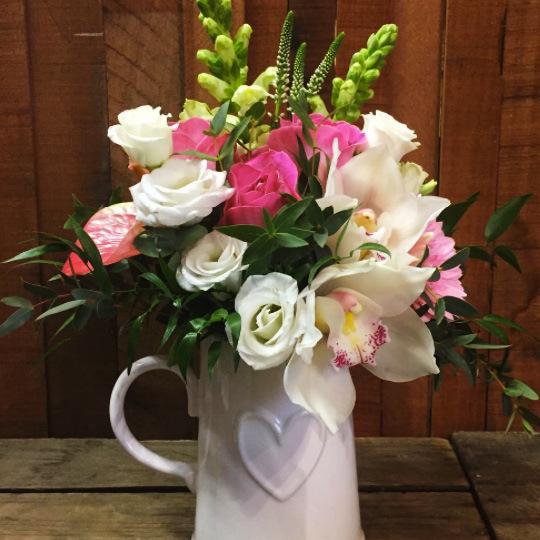 This display, in a ceramic jug uses orchids, lisianthus, roses and polyanthus. 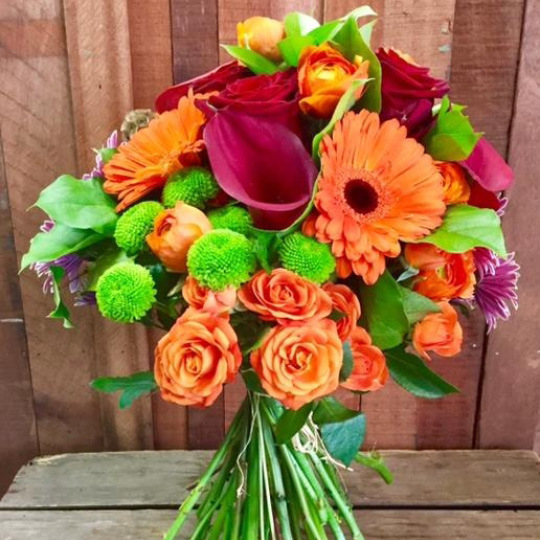 Bella's stunning citrus colour explosion featuring red roses, orange gerberas, calla lillies, spray rose and ranunculus. Hand tied and aqua packed, and boxed, ready to display. 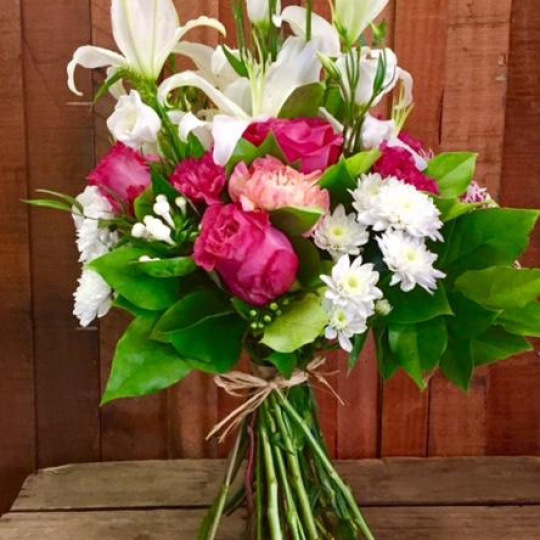 Bella's gentle walk in the park bouquet using white oriental lillies, white roses, spray roses, gerberas and chrysanthemums. Hand tied, aqua packed and boxed ready to display. 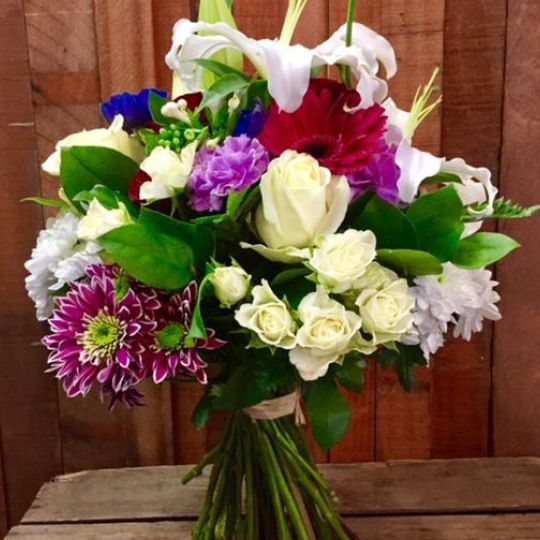 Hand tied bouquet using a selection of Bella's choice seasonal flowers. Hand tied, aqua packed and boxed, ready to display. 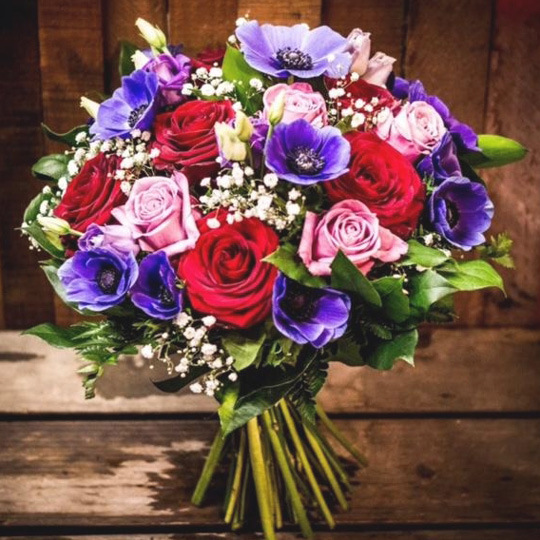 The Cotswold, a stunning, hand tied bouquet, featuring red Naomi Roses, pink Avalanche Roses, Anenomes, Lisianthus and seasonal foliage. Hand tied, aqua packed and boxed ready for display. 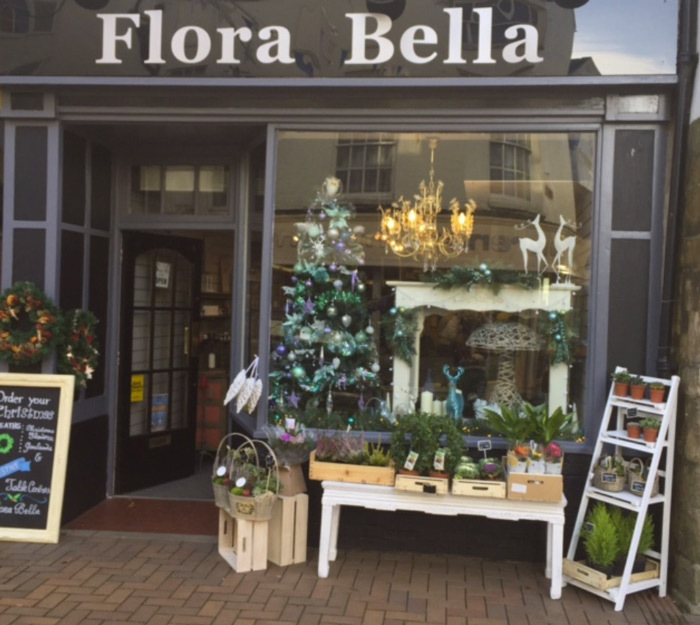 We are a traditional florist nestling on the edge of the Cotswolds, in the beautiful town of Banbury. Headed up by Clair Harding, who trained at the prestigious Covent Garden Floral Academy, we specialise in weddings and events, whilst at the same time providing bouquets, arrangements and all manner or gorgeousness throughout not only the local area, but nationwide using our own delivery relay service run by our own Mr Bella. 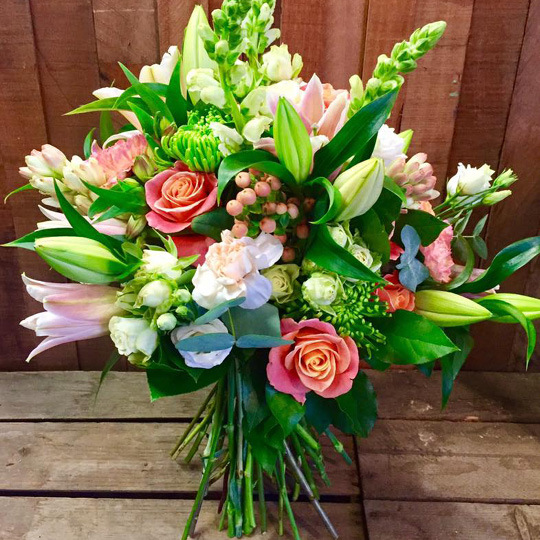 We use the very best flowers direct from the UK and Holland, enabling us to create bespoke, stunning, arrangements and bouquets for your event.